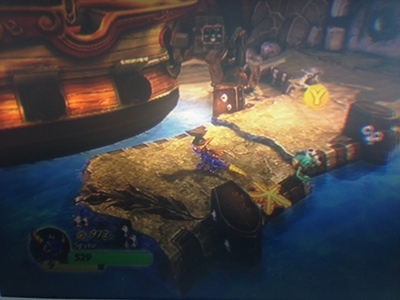 I will be very honest, Skylanders Spyro's Adventures is a very addictive video game. Rated G, it is suitable for even the youngest gamers. The game is played along with toy figures that interact with it through a "Portal of Power", which reads their tag. The "Portal" changes colours as it interacts with the game. A Skylander can be one of eight elemental categories including: Earth, Air, Fire, Magic, Water, Life, Tech and Undead. 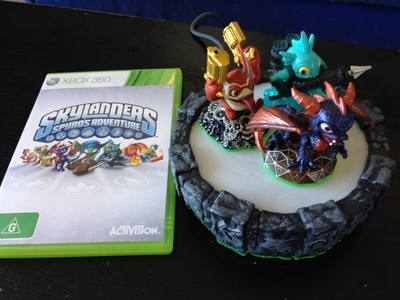 Skylanders is available for PC, XBox, Playstation. Wii, 3DS, so no matter what console you have, your kids will be able to enjoy it. The Skylanders website is full of great information about the game, characters and even features free mini games which you can play online. 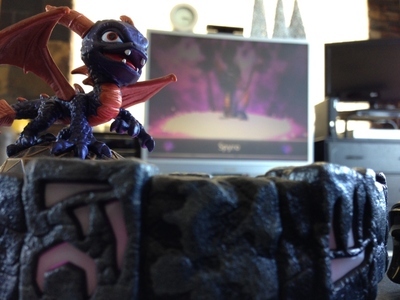 Find out more at the Skylander website.